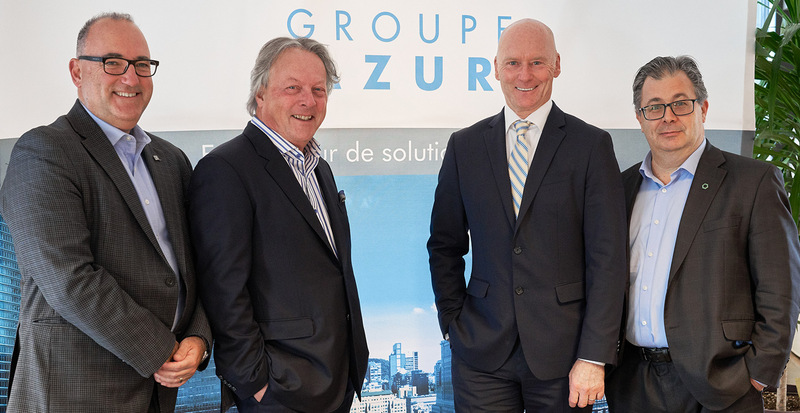 “In 2017, the CVCA named Desjardins Capital the most active VC firm in Quebec,” said Luc Ménard, Chief Operating Officer of Desjardins Capital, “and we’ve been using our risk capital to support innovative Quebec companies like Azur Group as they make their mark both domestically and abroad. With its customizable EFS solution for businesses, our new partner is proving its commitment to developing value-added solutions for treasury management, a challenge that is all too frequently underestimated by small and medium-sized businesses. Mazars Consulting Inc. is the corporate finance and transactional services firm of Mazars in Canada, oriented towards the private sector market. With a multisectoral approach and an international network of experts established in 86 countries, Mazars Consulting Inc. provides adapted and comprehensive support to its clients in carrying out their projects.